Outside, the winter is quiet, with cold days melding into long, dark nights. 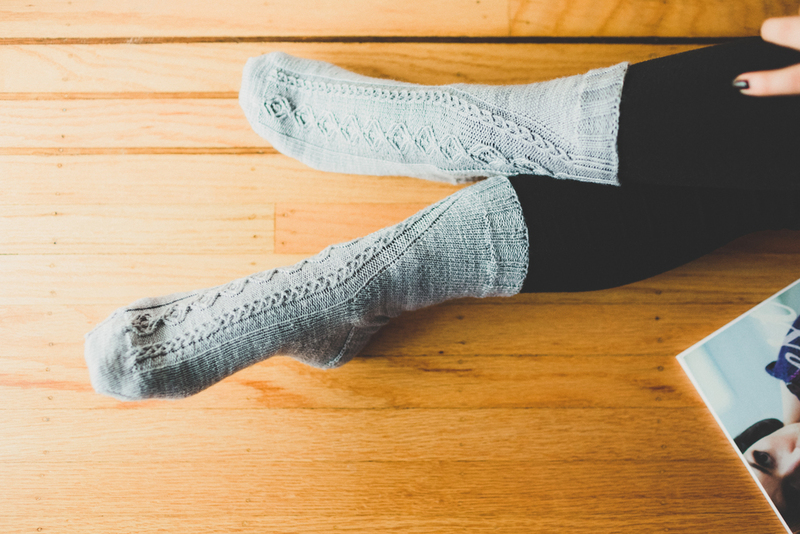 If that doesn't make you want to grab your knitting needles and knit something cozy, I don't know what will! These are the opening words of the latest Look Book, Holidays with SweetGeorgia, Vol. 1 that I had a chance to review this week. And while I live in sunny SoCal, I can well-imagine myself in front of a roaring fire, a cup of hot cider (with a shot of whisky, don'tcha know) and a lap full of yarn to keep me warm and my fingers busy. This adorable 7-pattern collection has a little bit of everything for the winter knitter: shawls, a cowl-turned-hat, socks, lace work, double knitting and ombre colorwork. The pattern that immediately caught my eye was Tallin by Deborah Dar Woon. It's so unbelievably creative... I totally wish I'd thought of it myself. And because the lovelies over at SweetGeorgia are so generous - they're going to let me give away one copy of this incredible pattern to one lucky reader. But! Before I get to that, though, I have to share the other 6 patterns in this perfect-for-giving accessories pack so you can find one, or 5, and knit them up and give them to your favorite people (but only those who deserve it... you know what I'm talking about!). Let's do this giveaway thing! 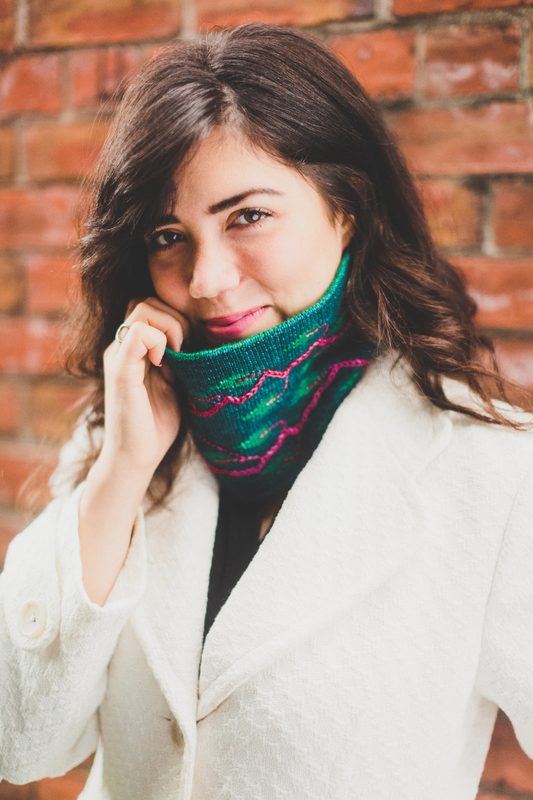 We'll keep this simple - to be entered to win a copy of the Tallin hat, shown above in the Empress colorway (for serious, could that name be any better? ), leave a comment below telling me a) your Ravelry username and b) which of the wide array of colors that the CashLuxe Spark comes in, you would use to knit the hat. 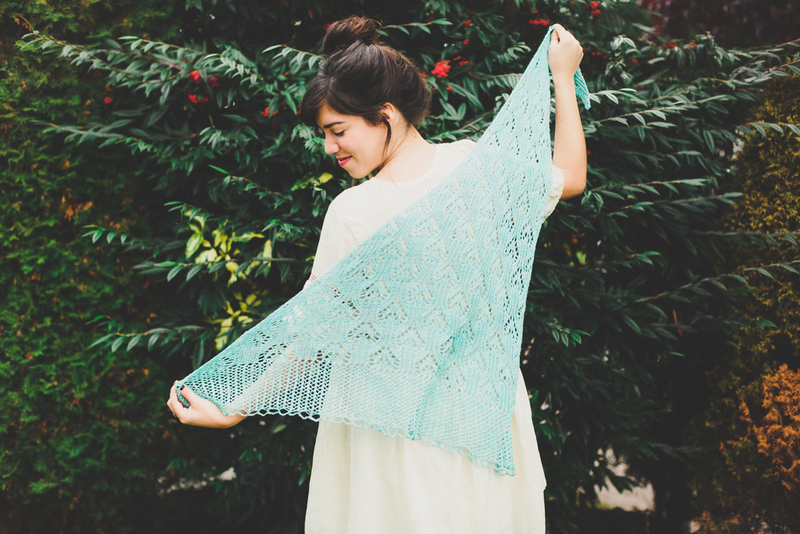 I love them all, but I think I'd be down with a "Ginger" skein to make this beauty. You can enter by leaving a comment until Sunday, November 29th at 11:59pm PST. I will announce the winner on Monday, November 30th. The pattern will be sent to the winner directly from SweetGeorgia Yarns on Ravelry. Wanna save 40% on SweetGeorgia patterns? In addition to the super sweet giveaway above, the lovelies at SweetGeorgia Yarns have created a super-special not-so-secret discount code for my readers to user this holiday weekend! Visit https://sweetgeorgiayarns.com/shop/ and use BLACK2015SOCAL at checkout to get 40% off your pattern purchases. C'mon... does it get any better than that? Nope. Nope it doesn't. So really... what else is left other than to say TREAT YO'SELF! Thanks for stopping by to check out the awesomeness of SweetGeorgia Yarns. Enter the prize drawing. Save 40% and have an awesome Thanksgiving!!! I received a copy of this LookBook from SweetGeorgia Yarns, free of charge, in exchange for an honest review of the designs contained within. The wording and opinions above are my own.